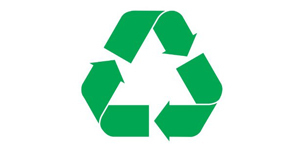 Set your business apart with environmental certifications. Help your customers define interiors with durable, colorful, creative wall decorations that last—with scrub- and scratch-resistant performance. Prints produced with HP Latex Inks enable healthier printing and more sustainable printing.2 Odorless displays meet environmental goals with UL GREENGUARD GOLD and FSC® Certifications. Be productive—durable prints are easy to install and remove. Maintain high productivity and offer your customers, these easy-to-use solution. This wall paper goes up with common adhesives and installation techniques. Prints produced with HP Latex Inks on HP PVC-free Durable Suede Wall Paper are Type II (ASTM F793) compliant5 for durability characteristics—ideal for use in environments subject to wear and tear. Boldly define interior spaces—see the ColorPRO difference.6 See high-impact graphics with an extended range of colors. Engineered with ColorPRO Technology to deliver color excellence, this digital wall decoration solution from HP delivers professional quality and striking results. Compliance with international wallcovering industry standards. Wide range of textures (embossable). Works with common primers, pastes, finishing, and installation methods. 1 Chemical analysis demonstrated elemental chlorine to be at or below 200 ppm. Presence of chlorine is attributed to residual chlorine used in the papermaking process, and not due to the presence of PVC. 3 With HP Latex Inks. UL GREENGUARD GOLD Certification to UL 2818 demonstrates that products are certified to UL’s GREENGUARD standards for low chemical emissions into indoor air during product usage. For more information, visit ul.com/gg or greenguard.org. 4 HP trademark license code FSC®-C017543, see fsc.org. 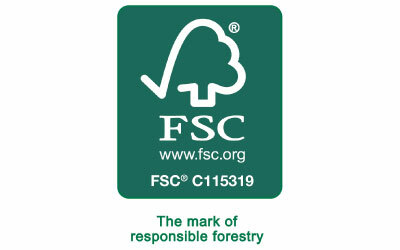 Not all FSC®-certified products are available in all regions. 5 HP PVC-free Durable Suede Wall Paper is compliant with the ASTM F793 standard (Type II) when printed at full coverage using Original HP 792 Latex Inks on the HP Latex 200 Printer series or HP 831 Latex Inks on the HP Latex 300 Printer series or HP LX610 Latex Inks on the HP Latex 800 Printer series or HP 881 Latex Inks on the HP Latex 3000 Printer. To avoid staining in unprinted areas, HP recommends cleaning the area within 30 minutes of any spill using a non-abrasive sponge with warm water and a mild dishwashing detergent. 6 Prints on HP PVC-free Durable Suede Wall Paper with Original HP 831 Latex Inks on the HP Latex 300 Printer series or HP 792 Latex Inks on the HP Latex 210/260/280 Printers have a color gamut ≥ 430K CIELab units. Type II wallcovering complaint with ASTM F793 for durability characteristics. 7 Tested to ASTM E84-13a for burning characteristics. Rated per section 803.1.1 of the International Building Code. 8 With HP Latex Inks. Display permanence rating for interior displays/away from direct sunlight, by HP Image Permanence Lab. See HPLFMedia.com/t/printpermanence. 9 This product does not contain substances listed as SVHC (155) per Annex XIV of the EU REACH directive published as of June 16, 2014 in concentrations exceeding 0.1%. To determine the status of SVHC in HP products, see the HP REACH Declaration published at HP Printing Products and Consumable Supplies. Logo source: Copyright European Chemicals Agency. 10 UL GREENGUARD GOLD Certified prints exceed the Special Environmental Requirements of the Collaborative for High-Performance Schools (CHPS), California Department of Public Health Standard Practice Section 01350 specification for indoor air emissions, and are accepted by Green Globes and Green Guide for Healthcare programs. See chps.net. 11 To obtain US LEED credits based on FSC® certification, the builder must purchase HP PVC-free Durable Suede Wall Paper printed with HP Latex Inks from an FSC Chain of Custody certified print service provider. To obtain LEED credits based on UL GREENGUARD GOLD Certification, HP PVC-free Durable Suede Wall Paper printed with HP Latex Inks must be part of a wall system in which all components are UL GREENGUARD GOLD Certified. 12 With HP Latex Inks. UL GREENGUARD found HP PVC-free Durable Suede Wall Paper, which is designed with a breathable construction, to be highly mold and mildew resistant using test method GGTM.P040 and following the guidelines of ASTM D 6329. See greenguard.org/en/CertificationPrograms/listingprograms_copy1/ CertificationPrograms_microbialProgram.aspx. No products are mold proof. It is uncertain that any material will resist mold or mildew indefinitely. 13 Interior in-window display ratings by HP Image Permanence Lab on a range of media including HP printing materials. See HPLFMedia.com/t/printpermanence. 14 Water resistance testing by HP Image Permanence Lab on a range of media including HP media; water resistance is comparable to eco- and low-solvent inks when printed on water resistant substrates. Water resistance testing follows ISO 18935 method. Results may vary based on specific media performance. See HPLFMedia.com/t/printpermanence. 15 According to European Standard EN15102.